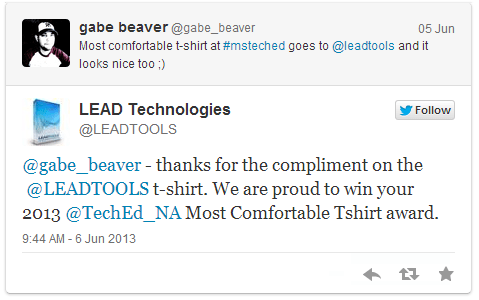 This year I was given the opportunity to attend and experience TechEd North America in New Orleans June 2-6. This was my first time attending and I was not quite sure what to expect. Could the assembling of so many nerds in one city be a good idea? As it turns out, this is an awesome idea. The trip didn’t get off to the smoothest start. On Sunday I was set to take a flight from Charlotte > Houston > New Orleans. Unfortunately the flight departing Charlotte was delayed for 30 minutes and ended up being about two hours delayed in total. When you’ve got a connecting flight, the last thing you want is a delay of your first flight; however, during this time I started making conversation with the only other person headed to New Orleans, who was also heading to TechEd. I was chatting with Brien Posey. I didn’t know it at the time, but he is a 10-time MVP and freelance technical writer. We had a nice conversation, he’s a great guy, and after looking around a bit I’ve read some of his articles I just didn’t place the name with the articles when we were talking. The flight from Houston > New Orleans was also delayed, but when we landed I only had 20 minutes to catch the flight, no time for lunch! Once aboard I jumped in on a conversation between Brien and a Duke Energy employee, turns out the Duke Employee knows a good friend of mine who also works at Duke in Charlotte on the Active Directory team. It’s a small world. Before I knew it I was in New Orleans and getting dropped off at the Renaissance Pere Marquette. Quick review of the room: The room was nice and clean; however, I had two power plugs that would not work and I had to run the water for a few minutes to get the shower warm, other than those small nuisances it was a great hotel in a sweet spot close to Burbon Street and the French Quarter, but far enough away I could sleep soundly sans noise. After dropping off my bags, I decided to get on the shuttle and head over to the convention center, get my gear, get checked in, and check out the Surface line. Once at the New Orleans convention center, I checked in, received my bag and gear, and saw an enormous line for the Surface. Since many attendees hadn’t arrived and I had nothing else I had to do, I waited in line. Almost exactly two hours later I had a Surface RT with Black touch cover for a cool $102 and some change. I headed back to the hotel, setup my new tablet, and decided to finally grab some food from room service, plot out my schedule for the week and get some rest. First thing on Monday was the keynote headed by Brad Anderson. The live New Orleans Jazz band playing before the keynote was excellent. Brad came out after a cheesy intro video in an Aston Martin, which was a pretty cool touch. There were many updates and new items announced, Server 2012 R2, System Center 2012 R2, many Azure updates, the Azure pack, SQL server 2014, new versions of Visual Studio and TFS. In my mind, the best speaker during the event was Scott Guthrie and the updates to the Azure platform. Not being charged for VMs when they are powered off got a nice reception. I believe Microsoft is the first of the big cloud providers to offer this. After the keynote, it was time to hit the Tech Expo floor a bit before grabbing some lunch. Terri (a coworker from OW) and I walked up and down through all of the vendors picking up some “swag”, t-shirts, ink pens, little gadgets and whatnot from the different vendors. We came across a wheel and locked treasure chest game from CommVault where you spin the wheel and the number you get is the number of keys you get to select from a pile of keys where only a single key would unlock the treasure chest. I spun a three and on my second key, much to my surprise, I unlocked the chest. What was the prize? 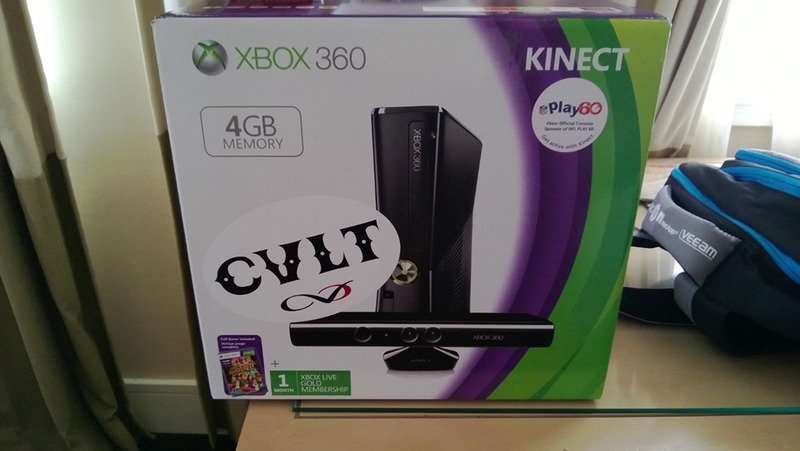 Oh, only an Xbox 360 + Kinect Bundle, seriously! Welcome to TechEd. After that, we encountered another wheel game where I won a $25 AMEX gift card. What I should have done was immediately run and purchase a lottery ticket, but alas I did not. Here is how much my luck “helped others” later in the week. On Tuesday, I sat right next to a gentlemen named William from LA during a garage taping session on Office updates. He claimed to have “never won anything in his life” and at the end of the session he won a Surface Pro via a drawing. 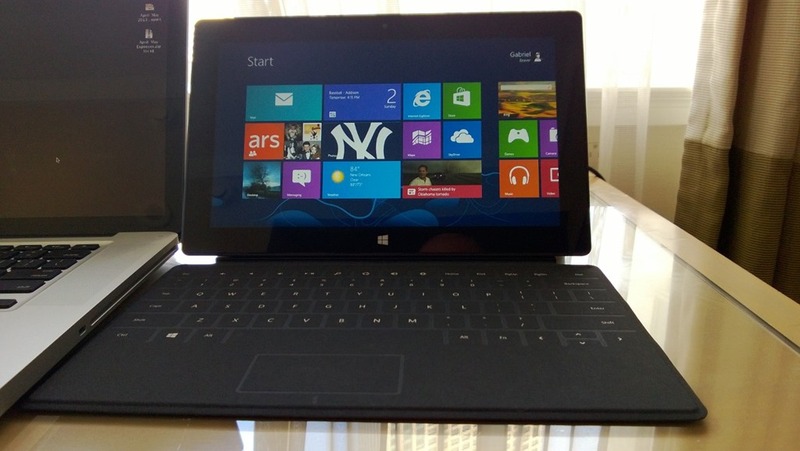 On Wednesday, there was a drawing going on for another Surface Pro at a vendor. I told a guy who was passing by about it, that it was about to happen and he should get in on the draw. He was the last ticket in and he won. Brilliant. Finally on Thursday, VEEAM was giving away an incredible storage unit, you had to be present to win. The tickets were given out during registration with your bag, I had ticket #003230, the second number he called was #003229. Maybe if I had beaten the guy in front of me in line! But hey, I had already won something, no need to be greedy! Throughout the days on Tuesday, Wednesday, and Thursday I spent the majority of time in a variety of sessions, hands on labs, and a bit more time at the Expo between sessions and after lunch. I attended sessions on Azure, the Azure pack, and what’s new in VMM 2012 R2, and a Instructor Led Lab on IPAM just to name a few. I also enjoyed the many conversations with fellow techs in the surface line, on the shuttle, between sessions, at lunch, and shooting pool during happy hour. It was nice to chat with people from all over about the challenges that they were facing, what they were looking to get from the conference, and such. Exchange and SharePoint seemed to be the major pain points that were brought up time and again in conversations. While waiting in the New Orleans airport on the way home from TechEd, a guy was talking to one of the pilots waiting for our airplane. They were chatting about Charlotte, sports, politics, things to do, etc. I jumped and and eventually this gentlemen and I started talking about work, where he informed me he worked for Carolinas Healthcare in South Carolina and is actually a manager of and works with many of the people I used to work with at CMC-NorthEast in Concord back in 2008. Again, it’s a very small world. Best physical game – Has to be @commvault because I won. Honorable Mention – Fusion I/O had a “voodoo SAN” where you pulled pins from a spinning mock SAN in search for a single silver pin, I saw many Jamboxes leave their booth this week. Best Video game – Net IQ had a Wii longest drive challenge which was fun. Best Overall Presentation – @VEEAM wins this one hands down. Their magician/presenter would start with a handful of people listening and by the time his session was over a huge mob of people would be gathered around. He taught everyone that “something greater than $1000 is… the gift of love” which was a hug from the magician after a player would lose the game for $1000. He also impressed with various items throughout the act, card tricks, sleight of hand, and a math matrix. He made an excellent point that we don’t have to understand why his tricks work, we just know they work, we see they work, and we can trust they will work. That is exactly how VEEAM is. You don’t have to understand all the technology behind it, you just need to know if works and you can trust it. Congratulations are also in order to my co-worked Terri D who also attended with me this year. She passed her MCSA for Server 2012 on Thursday. You can check out her blog here. I also took time after the daily activities to enjoy the city of New Orleans. I visited Cafe Du Monde (free gift certificates! ), Jackson square and the riverfront, the French Quarter, and of course Burbon Street. It was hot and humid for most of the week, but we had beautiful weather with very little rain. On Tuesday, Commvault sponsored a private event a the New Orleans House of Blues for a “Jam Session”. I was expecting geeks who weren’t musically savvy to be on display. With the exception of the guy who forgot the words to Bob Seager’s “Turn the Page” and replaced them with “Here I am, at TechEd… Here I am, messing up the words!” (LOL) the music was great and it was a fun night. The guitar player and vocalist who did the cover of Joe Walsh’s “Rocky Mountain Way” absolutely crushed it. I am sure some videos will be up on YouTube, provided they already aren’t, showcasing the geeks rocking out. Take a look through the slideshow below for some pictures of my stay in New Orleans during TechEd 2013, the Surface line, Jackson square, the hot sugary treat from Cafe Du Monde, and of course the Xbox 360.